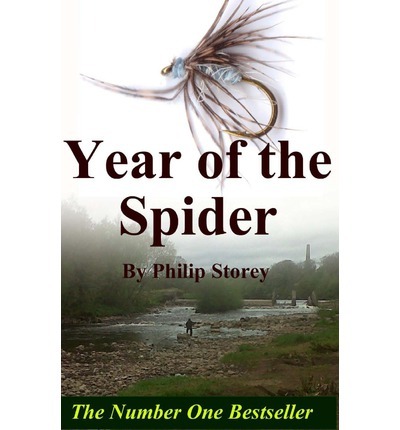 Journalist, author and unrepentant trout bum Philip Storey spends the summer on an urban river in the North-East of England fishing with centuries-old spider patterns. These are the flies that have stood the test of time and still work today. Year of the spider contains images and tying instructions for possibly the simplest to make flies you will ever come across, along with a detailed diary recording the conditions (temperature, humidity, wind, air pressure, river height etc) in which they were successful along with lots of fish pictures taken one-handed and at odd angles. This is more than just a fishing guide or a 'how-to' manual; Year of the Spider takes the mystery out of fly fishing and selects nine, easy to tie flies that will carry you right through the season catching fish all the way. And to anyone wondering if North Country spider patterns will only work in the North of England, here's what TE Pritt had to say on the subject: "The originals, or others like them, have done service on half the rivers and lakes of England and Scotland, and have never failed to give a satisfactory account of themselves, despite the lugubrious warnings of local hands that 'they were no use there'. You will be told this probably on every new river visited; yet may you safely fish Yorkshire flies and laugh to scorn the dismal prophecies of anglers who believe that the trout in their own river differ in their choice of flies from those of any other river in the universe." Philip Storey is the author of The Complete Bad Angler and has published an updated version of Yorkshire Trout Flies, by TE Pritt. He is also the author of the indispensable Cooking for Dads, a collection of meals that every father should know.